A unique experience open all year ’round! Come visit our Adventure Cave at Mountain Trail Rides to enjoy the newest activity which kids and parents can participate in together. Here, armed only with a hard hat, mining lamp, bucket and shovel, visitors of all ages enter a fabricated cave in complete darkness in search of over 200 different rocks, minerals, shells, gems and fossils from all over the world. Each visitor will leave with whatever they find and the experience of having hunted for treasure in a realistic, underground setting. 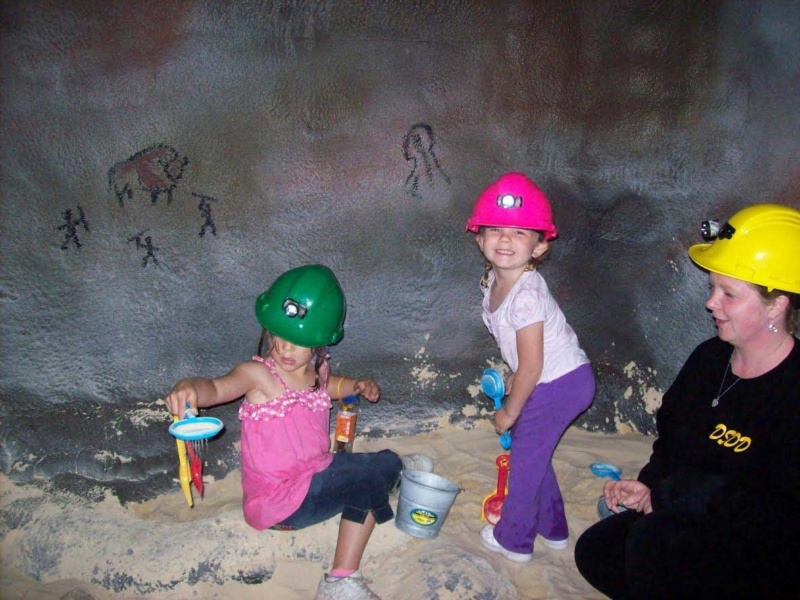 Kids will love putting on the hard hats and mining lamps and going on a “treasure hunt” into the cave. Young ones can use their imagination to pretend they are in Ali Baba’s Cave, or “working”underground in one of America’s finest occupations – as a West Virginia coal miner! Remember the movie National Treasure? . . . It’s so cool! Visit to the Adventure Cave Also, parents/grandparents wishing to accompany children to the petting zoo get half-price admission with the purchase of a Barnyard Buddy VIP pass.